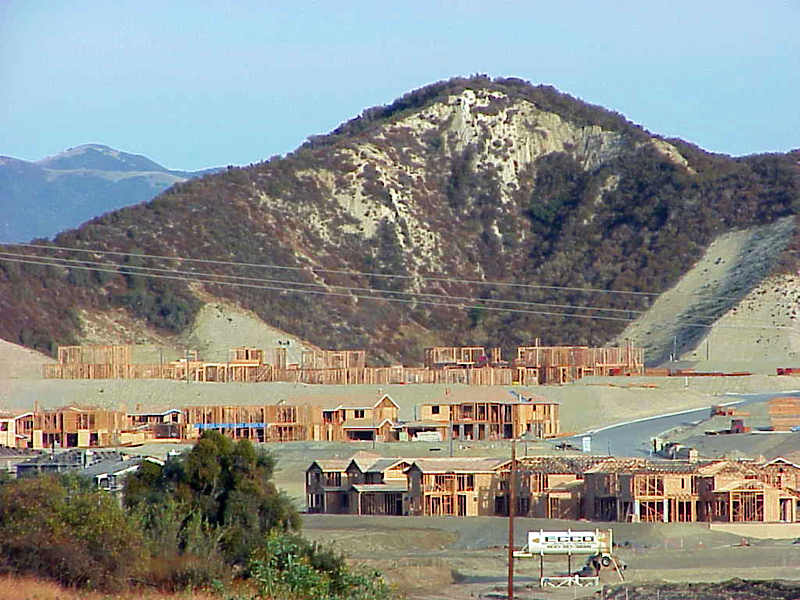 November 17, 1999 — The Southern Oaks section of Stevenson Ranch under construction. Looking back (west) from the Pico Canyon Road "driveway" leading to Mentryville. LW2435c: 9600 dpi jpeg from 96 dpi digital image | Source unknown.